Aveco designs, sells, and supports studio production automation, master control automation, and integrated channel playout systems worldwide. Varieties of architectures are available from complex multi-channel, multi-site operations to small stand-alone systems and from complete end-to-end production and playout facilities to individualized products. Based in the Czech Republic with offices in Miami, Los Angeles, Denver, Mexico City, Bogota, Moscow and New Delhi, Aveco has more than 300 customers in Europe, Americas, Asia, and Africa. Aveco has the technology and experience to deliver any workflow, to control any third-party device, and to provide media companies the reliability and 24/7 support Aveco is known for. Since 1992, Aveco has been leading the way in automation and centralized operations, and has remained a stable, privately-owned company with a long-term commitment to steady growth and timely support. The ASTRA and Redwood product families can be used in applications including live news and sports production, MCR playout, integrated channel playout, mass ingest, ad insertion and disaster recovery. Astra Studio and Astra MCR are components of Aveco's award-winning, hardware-agnostic automation system. For news and sports, Astra Studio integrates all studio and PCR equipment: camera robotics, graphics, virtual sets, production switchers, video/audio servers, audio mixers, lighting, routers... It’s easy to use and provides unmatched on-air sophistication. Astra MCR is the first to deploy BXF 5 and features numerous high-end automation innovations. Aveco manages ingest-production-MAM-PCR-MCR-OTT-Online all in one integrated system. Aveco’s Redwood BLACK is a multipurpose video engine powered by Harmonic Spectrum X technology,that provides integrated channel origination, ingest and playout features, with media standards up to 4K UHD HDR. It includes graphics, DVE effects and MCR switcher functionality with live switching. Through its seamless integration with Aveco playout and studio automation products it will make a perfect fit into any workflow. Redwood BLACK offers both IP and SDI interfaces, making it a best fit into hybrid projects mixing SDI with IP, as well as facilities transitioning from SDI to IP. Professional, multipurpose video engine provides ingest, playout and integrated channel origination services. Features include graphics, DVEs, live signal switching, audio processing, and up to four video channels of ingest and/or playout per chassis, which supports all major formats. Aveco automation layer integrates Redwood into any workflow. Powered by Harmonic. Integrated graphics and playout engine running on the COTS hardware. Open source software inside this product makes Redwood White ideal for projects with limited budgets yet requiring high quality. Features include clip playout, multi-layer graphics, live signal switching and integrated channel origination. Aveco’s automation layer integrates Redwood into any workflow. Whether a news broadcaster, general entertainment channel, music channel, or shopping TV organization, Aveco helps media companies become content factories, to produce, manage, and deliver content reliably, efficiently, and with maximum impact. 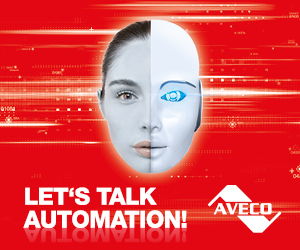 More information is available at www.aveco.com, by emailing [email protected], or by calling our Prague headquarters at +420-235-366-707, our Los Angeles office at +1-818-292-1489 or New Delhi office at +91 989 901 1397.